At the inaugural event of our lecture series on corporate governance, inspired by the Hertie School’s new Dr. Michael Endres Prize, the school honoured the annual research award’s namesake. Michael Endres is the long-time Chairman and current honorary Chairman of the Hertie Foundation’s Board of Trustees. He was instrumental in the school’s founding in 2003 and has helped guide its successful development since. The event took place at the Hertie School on 26 October at 5:30 pm. Wolfgang Schön, Deputy Chairman of the Board of Trustees of the Hertie School and Director at the Max Planck Institute for Tax Law and Public Finance, introduced the 50,000-euro prize, awarded annually to distinguished academics working in areas relevant to the Hertie School’s research and teaching, who have helped bridge research and policymaking. Deputy Chair of the Hertie Foundation's Board of Trustees, Dagmar Schipanski offered a laudation for Michael Endres. The prize was awarded for the first time in July 2017 to Theodor Baums, Professor for Civil, Trade and Business Law, Goethe University Frankfurt am Main, an expert on corporate governance who played a significant role in developing the German Corporate Governance Codex. In conjunction with the prize, the Hertie School kicked off a lecture series, 'Advances in corporate governance: comparative perspectives'. At the event, Theodor Baums held the series' inaugural lecture, 'Advances in corporate governance in listed corporations', focusing on revisions to the OECD Principles of Corporate Governance since their inception in 1999, implemented amid continuously changing national codes. His lecture was followed by a panel discussion with Gay Huey Evans (Deputy Chairman, Financial Reporting Council, UK) and Jaap van Manen (Chairman of the Dutch Corporate Governance Code Monitoring Committee), moderated by Katja Langenbucher (House of Finance, Goethe University Frankfurt am Main). Helmut K. Anheier is President of the Hertie School of Governance and Professor of Sociology. His research centres on indicator systems, social innovation, culture, philanthropy, and organisational studies. Anheier is the principal academic lead of the Hertie School's annual 'Governance Report' (Oxford University Press). He also holds a Chair of Sociology at Heidelberg University and serves as Academic Director of the Centre for Social Investment. Wolfgang Schön is Deputy Chairman of the Hertie School's Board of Trustees. He has been a Director at the Max Planck Institute for Tax Law and Public Finance and Honorary Professor at Munich University since 2002, having held full professorships at Bielefeld University and the University of Bonn between 1992 and 2002. He currently serves as Vice President of the German Research Foundation and as an International Research Fellow at the Oxford University Centre for Business Taxation. Dagmar Schipanski is Deputy Chair of the Hertie Foundation's Board of Trustees. She served as rector of the European Study College Berlin and of TU Ilmenau and as President of the conference of education ministers and of the Science Council of Germany. Dagmar Schipanski was President of the Parliament of Thuringia from 2004 to 2009 and Minister of Science, Research and Art of Thuringia from 1999 to 2004. In 1999, she was CSU's and CDU's candidate for President of the Federal Republic of Germany. 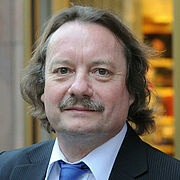 Theodor Baums is Professor for Civil, Trade and Business Law at Goethe University Frankfurt. He is an expert on corporate governance, an author, and co-publisher of various journals. He is an advisor to national and international organisations and a member of the government commission on the German Corporate Governance Codex. He is a recipient of the Service Cross First Class of the Order of Merit of the Federal Republic of Germany and the Euro Corporate Governance Leadership Award. Gay Huey Evans is independent non-executive Director of Standard Chartered Bank, non-executive Director of ConocoPhillips and Bank Itau BBA International, and Deputy Chair of the Financial Reporting Council, UK. She has over 30 years of experience within the financial services industry, international capital markets, and the Financial Regulator. From 1998 to 2005, she served as Director of the markets division at the Financial Services Authority supervising market infrastructure, overseeing market conduct, and developing markets policy. From 2005 to 2008, Gay Huey Evans held a number of roles at Citi, including Head of Governance at Citi Alternative Investments. She joined Barclays Capital in 2008 as Vice Chair of investment banking and investment management. She was a non-executive Director of the London Stock Exchange Group between 2010 and 2013 and received an OBE in 2016 for services to Financial Services and Diversity. Jaap van Manen is partner at Strategic Management Centre. As a consultant he focuses on members of the Executive Board, Supervisory Board, and shareholders with dilemmas related to corporate governance, strategy, and processes in the boardroom. He is emeritus Professor Corporate Governance at the Rijksuniversiteit Groningen. Before joining the Strategic Management Center, he was partner at PwC, where he held various managerial positions. As an accountant and advisor, he has more than 35 years experience in corporate governance, advising listed companies and large businesses. 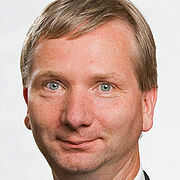 Jaap van Manen is the Chairman of the Dutch Corporate Governance Code Monitoring Committee. Among others he is Vice Chairmen of the Supervisory Board of De Nederlandsche Bank, member of the Supervisory Board of Bornet Groep Rotterdam and board member of Stichting Endowment at the Museum Boijmans van Beuningen. Moderation: Katja Langenbucher holds a full professorship for Private Law, Corporate and Financial Law at Goethe-University's House of Finance and is a permanently affiliated professor at the Ecole de Droit de SciencesPo, Paris, where she held the 'Alfred Grosser Chaire' in 2008/2009. She has held visiting positions at Université de Sorbonne, Paris I, LSE London, and Columbia University, New York. She is a principal investigator at 'SAFE' and a research fellow at the Center for Financial Studies, both at the House of Finance, Frankfurt, as well as member of the Supervisory Board of Postbank, Bonn. Katja Langenbucher studied law and philosophy in Munich, Harvard Law School, and Cambridge University. She has published extensively in the fields of corporate law, corporate finance, and legal theory. Her current research focuses on corporate governance of regulated industries and on blockchain initiatives.